Only 479 in stock. Additional quantities will deliver at a later date. 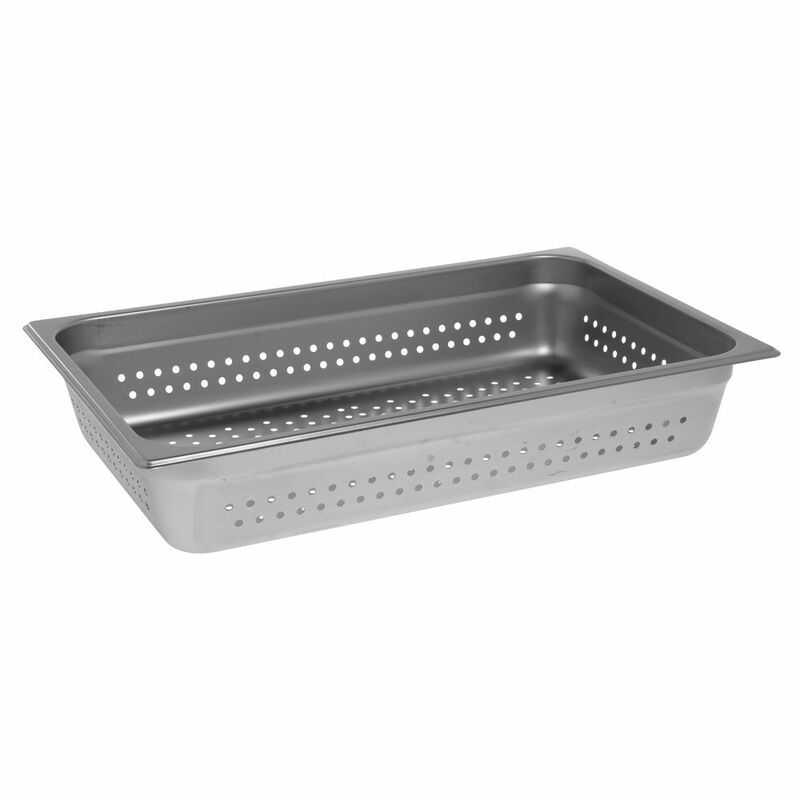 This steam table pan is made of 22 gauge 18/8 stainless steel. This holder is designed with perforations to drain fats and liquids from food. 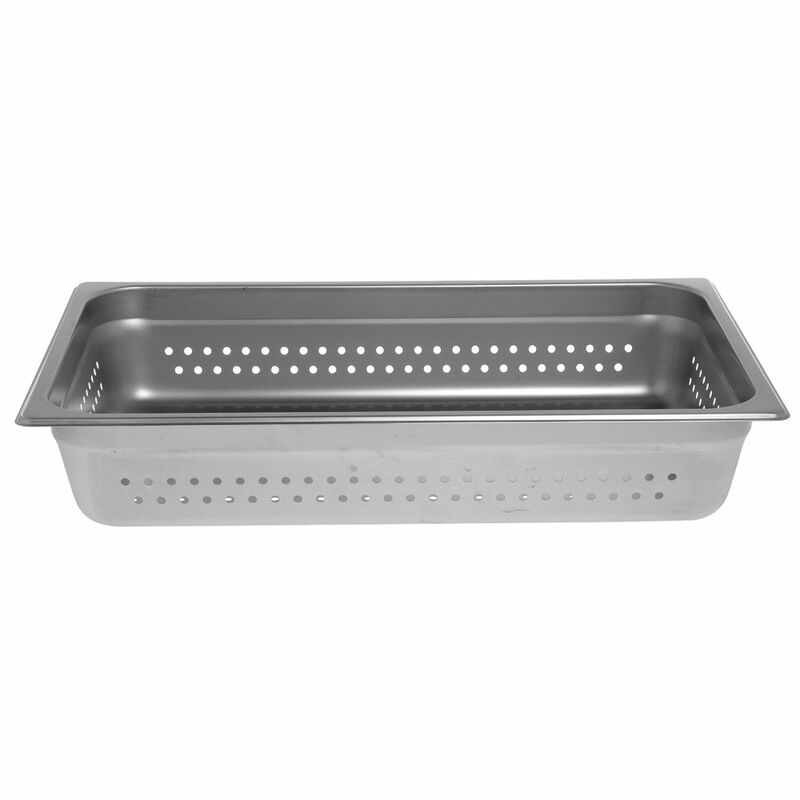 This steam table pan is ideal for large volume items. 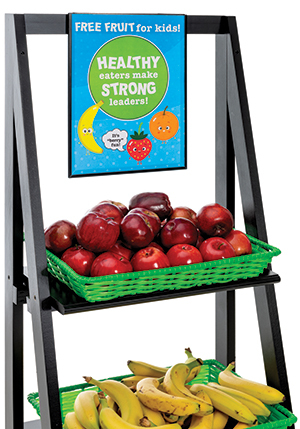 This holder is designed with anti-jam lugs that make stacking easy and drying quick. This steam table pan is value priced. This large stainless steel pan lid is perfect for cafeterias. This top also is great for buffet use. This large stainless steel pan lid keeps products warm. This top has a smooth surface for quick and easy cleaning. This full size large stainless steel pan lid comes in various sizes for any pan.